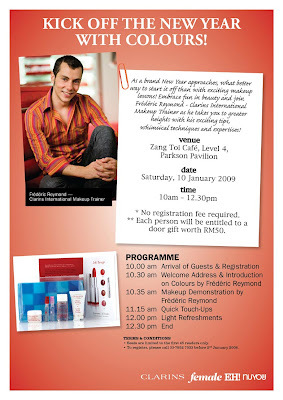 I went to the Clarins Beauty Workshop at Pavillion the other day. The event was managed by Clarins and Blu Inc magazine(Female, NuYou & Eh!). It's FREE! No registration fee required, got a free goodie bag and there were light refreshments provided too (by Zang Toi!). And Miu invited me! So of course I accepted the invitation cuz I wouldn't want to miss this opportunity, though I got an exam on that coming Monday! haha. (I just love free stuff! hehe). She's such a sweetie, you know. She texted me quite a number of times, asking me whether I wanted to go or not. (and emailed too!). And she even called up the person in charge and reserved two seats for me! Oh my God! You are such a nice girl la! One thing I learnt from that workshop is that we need to apply any face creams- moisturizer, sunblock, eye gel, foundation, etc etc; by doing the pressing/dabbing technique-not by massaging your face using upward/downward/outward strokes or even pull/push your skin! Time to get back to reality! Study lah! 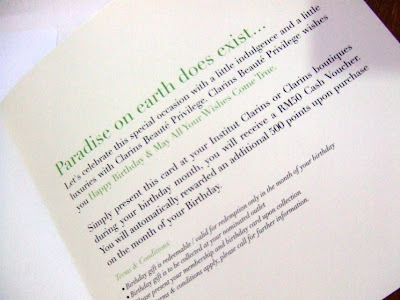 haih..
And.. just when I arrived home, I received a letter from Clarins..
Oh, it's a birthday treat from Clarins! 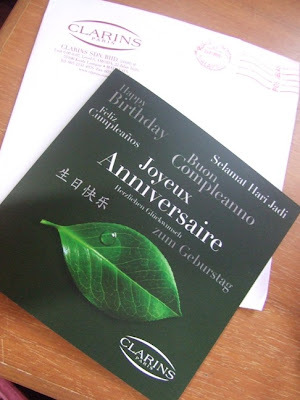 i also received the clarins member birthday card!! LOL! i love ur top too..u beli kat mne ye? btw, u pernah x order from Forever21? klu jenis badan cam u(asianla kirenye, kecik molek) pkai size ape ye? if u dont mind k! 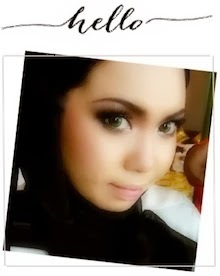 reena: yup2! dab je sbenarnye.. dab smpai hilang cream tu.. dia meresap sendiri..
miu: hehe.. i dunno what to spend la for that 50 bux.. their facial maybe.. hmm..
but we have to top up some more! another 100++ haiyoo.. not really a gift actually. thank u. i bought it at Warehose,dear. umm..what do u mean order from F21? order online ke? tak penah la dear..
i beli kat kedai je terus.. n biase nye i beli s or m sizes. depending on the cutting n material n jenis baju tu la..
gamba yg model with casual make up tu best..
sbnanye aik gamba model dpn ka model blkg? kite suke la baju awk nih !! !